The Celerio Green CNG powered variant’s prices were out even before Maruti Suzuki officially launched the car. Now that Maruti Suzuki is done with the official launch, the car has now gone on sale at a price of 4.68 lakh rupees, ex-showroom Delhi. This price represents a 62,000 rupee increase over the VXi Manual variant. The Celerio Green is available in a solitary VXi variant with the 5 speed manual gearbox. 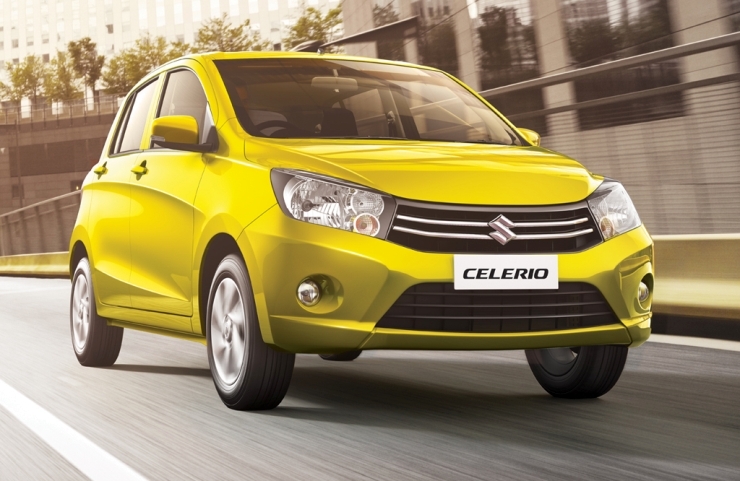 Maruti Suzuki does not offer the CNG powered Celerio with the automated manual transmission (AMT) option. The engine of the Celerio Green CNG is the 1 liter-3 cylinder K-Series petrol motor, modified suitably to perform as a dual fuel engine. The factory CNG kit on the Celerio uses iGPi technology (sequential CNG injection technology). On CNG power, the 1 liter K-Series engine produces a lower output of 58 Bhp-78 Nm, when compared with that on petrol power (67 Bhp-90 Nm). Maruti Suzuki claims a mileage figure of 31.79 Kms/Kg of CNG. Also, the CNG powered car weighs 915 kilograms, which is a full 85 kilograms greater than the Celerio VXi petrol’s 830 kilogram kerb weight. To cope with the additional weight aboard, Maruti Suzuki has modified the suspension of the Celerio with uprated springs. The CNG tank sits in the boot of the car, and Maruti Suzuki has re-designed the boot for easy access to the spare wheel. This design tweak and attention to detail separates factory fitted kits with aftermarket CNG/LPG fitments. The Celerio is Maruti Suzuki’s 6th car to be available with CNG power. The five other cars are: Alto 800, Wagon R, Ertiga, SX4 and Eeco. The SX4 has been discontinued from the Indian car market, and will soon be replaced by the Ciaz C-Segment sedan. It remains to be seen whether Maruti Suzuki will offer CNG power on the Ciaz.